Secotom-1 is designed for manual cutting of Printed Circuit Boards (PCBs) or sectioning of all other types of thin plates of materials that can be cut with a resin or metal-bonded diamond cut-off wheel. When the start button is pressed the light in the cutting table is switched on and the cut-off wheel starts rotating. The PCB can then be positioned in front of the cut-off wheel so that the cut can be performed exactly where necessary. 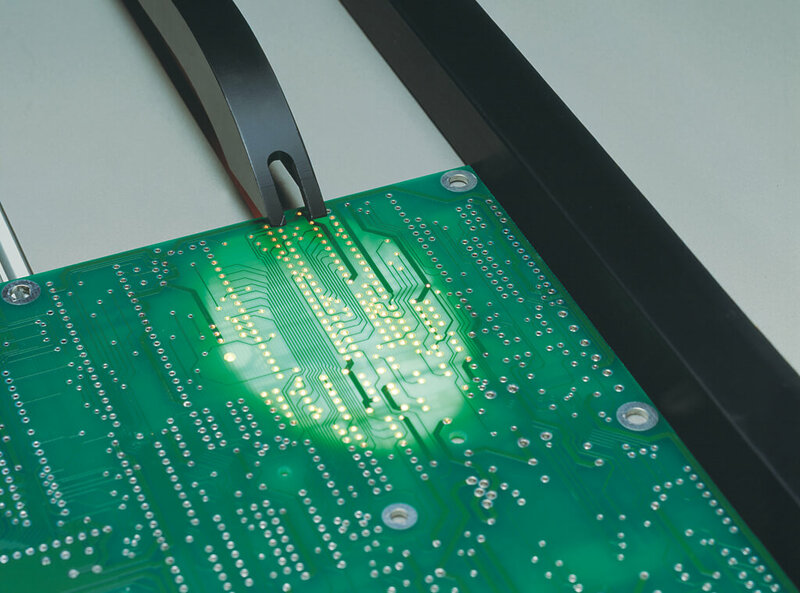 To make positioning of the PCB as easy and precise as possible, the manual cutting table is illuminated from underneath. This allows very small vias in the PCB or the copper conductor paths to be identified through the PCB. 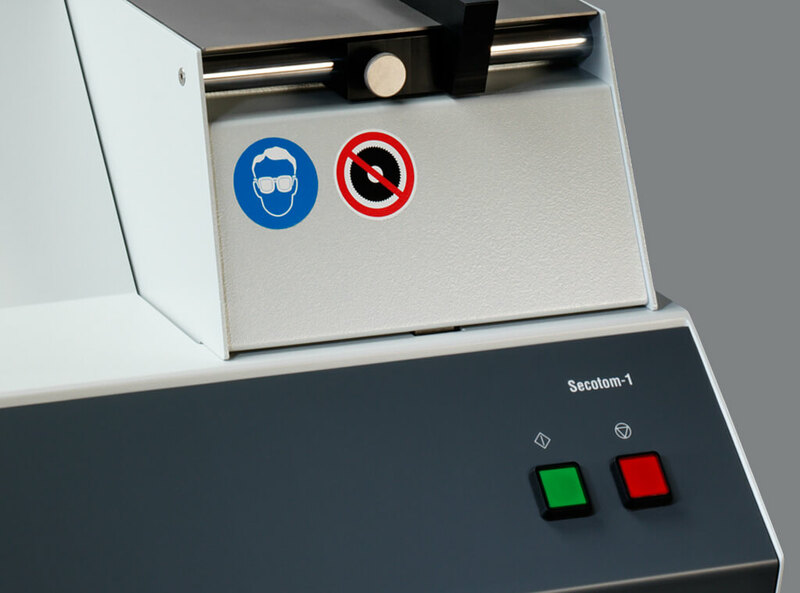 Enables sectioning of a variety of shapes and sizes of PCBs. 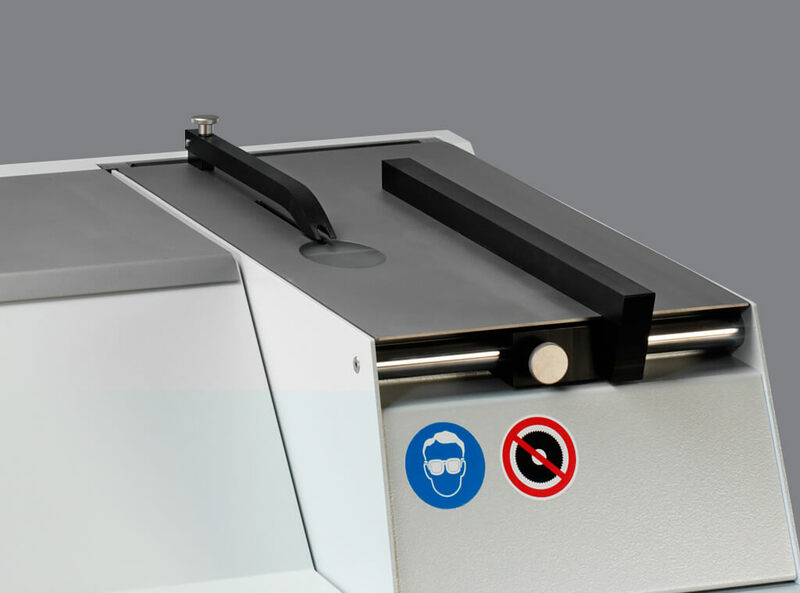 The guide rail is easy adjusted sideways, allowing PCBs or other sample material to be moved parallel to the cut-off wheel. Ensures a constant low temperature during the cutting process. Cut-off machine for manual cutting. Complete with cutting table with built-in illumination. Angular cutting table with longest sides (DxW) 500 x 520 mm. Cut-off wheels are ordered separately.